Home BusinessBanking Does Bitcoin Have the Necessary Resources? It’s a simple question: Does Bitcoin have what it needs to survive? The answer should be simple as well – Yes! But in fact, the answer is actually much closer to – Not by a long shot. Does that mean that Bitcoin is on its way out? Again, not by a long shot. The trouble is nodes. Specifically full nodes. 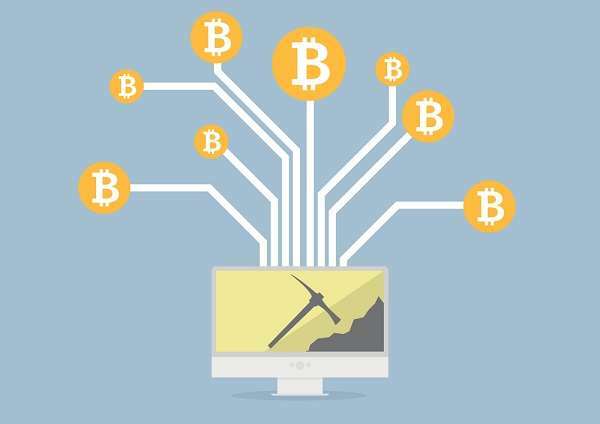 Over the years, Bitcoin has continued to grow, and despite a few well-publicized bumps in the road, it is easy to see how well the computational strength of Bitcoin mining continues to increase. Bitcoin mining is important, of course, but it’s not everything in the world of the internet currency. You also need a solid infrastructure and that is what the nodes contribute to. While the popularity and the mining rate of Bitcoin has continued to grow, the number of Bitcoin full nodes has decreased quite dramatically. In fact, the number of reported nodes has dropped from 100,000 or more to only 10,000. Does this decrease matter? Of course. Unlike individual businesses in an industry, it’s not normal for the infrastructure of a currency to go through shakeout. There is no necessary downsizing due to the economy or structured layoffs. Less does not equal efficiency in this case. 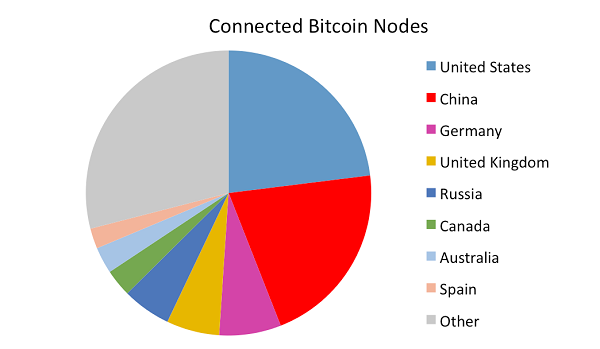 The Bitcoin nodes are an integral part of the currency. Specifically, a node is a running instance of a daemon such as a reference client of Bitcoin Core. A full node, the piece that is currently in question, contains the full 19GB of the blockchain, and that blockchain is always growing. What does the full node actually do? • The full nodes can filter transactions for SPV clients. • The nodes provide historic blocks for reference with new nodes. • The full nodes also check and validate the transaction, blocks and then relay them. For the sake of discussion, the check and transfer of blocks doesn’t actually require a full node, but the presence of the full node keeps the whole network honest. And that’s it in a nutshell – Full nodes are necessary for the integrity of the system. Unfortunately the number of full nodes is decreasing rapidly. • Are able to maintain the full node at all times. It should always be on. • Have more than eight connections. • Have a high-bandwidth connection to the internet. There are some users who are already running a full node, but they aren’t doing it correctly, at least according to Andersen. If your full node doesn’t accept incoming connections, you’re most certainly part of the problem, not the solution. Those full nodes that operate behind a router and that do not send Bitcoin requests forward are like parasites on the Bitcoin system – pulling resources without additional contributions. If you’re concerned that this may be you, you can easily check how many incoming connections your node is accepting using the “check node” tool available through Bitnodes. From a technical perspective, running a full node is challenging. There are hardware and software requirements to keeping the node up and online around the clock as well as completely updated. The full node requires a great deal of disk space and bandwidth, and for most users, there isn’t a clear benefit to running a full node. It’s not profitable like Bitcoin mining. There have been many calls to provide an incentive to run full nodes. This might overcome the expense and natural resistance that forms when individuals and companies are considering operating a full-node. To date no incentives have been announced, and it is unlikely that there will be according to many in the industry. While it would behoove all users to run a full node, it’s unlikely to happen on a large scale. The more full nodes there are in the network of Bitcoin users, the safer the environment would be for everyone. The interconnected mesh of Bitcoin nodes makes the market more secure and protects everyone from many types of fraud. But the collective Bitcoin populace is unlikely to jump on board with the idea of running Bitcoin nodes. They need the nodes, the benefit from the nodes, but most would rather leave the responsibility to someone else to actually implement. There are others who are content to wait things out. The Bitcoin Core developers may implement pruning software that would reduce the size of the blockchain, making the full nodes less cumbersome to run in the future. There may be additional software introduced to help the necessary scaling of the online Bitcoin community go more smoothly. It brings us back around to the most important questions of all. Are Bitcoins really at risk with the reduced number of full nodes? What should we be doing about the problem? The jury is still out on the amount of risk that is really present with the reduced nodes. This is partly due to the fact that there is no real-time data as to how many transactions each full node handles at a given point. Without that data it’s impossible to know the capacity and straining point of the network as a whole. In the meantime, those who are capable and interested in running a full node should investigate the possibilities as a means of supporting and continuing to protect their investment in Bitcoins at large. The rest of the Bitcoin community should remain aware of the problems and stay abreast of updates as they may come at any time.